Vik (pronounced Vig) has the dubious honour of being the wettest place in Iceland. Having visited many times I can certainly vouch for this however, on one particular winter’s day this year, driving from Höfn in the east of the island, as we headed toward Vik, a sort of half-way point between Höfn and Reykjavik, we emerged from heavy snow and leaving the blizzard behind, we drove into a wonderfully bright sunny day. 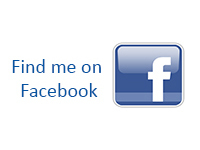 This entry was posted on July 13, 2016 by Chillbrook. 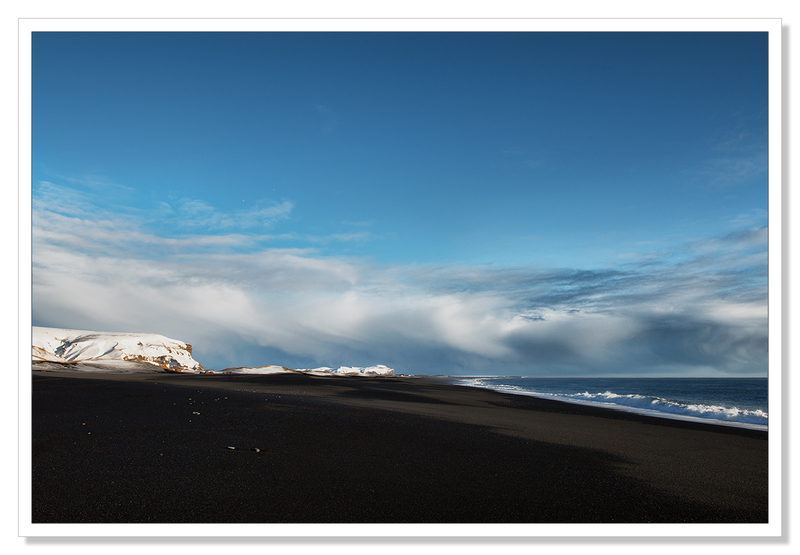 It was filed under Photography, Photography and Travel and was tagged with Adrian Theze, black beach, Church, Cornwall Photographic, Iceland, Iceland in winter, Landscape Photography, Photography, Southern Iceland, Vik. Fantastic shot of the church! 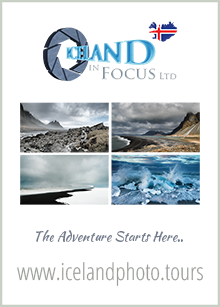 wonderful series…oh to be in Iceland..it is one of my dreams. Amazing photos, Adrian. That church look so small in that cold and uninhabited landscape. Is the rock formation in the third photo, just natural rocks, or is that very thin one something man-made? I cannot get enough of your beautiful Icelandic images. 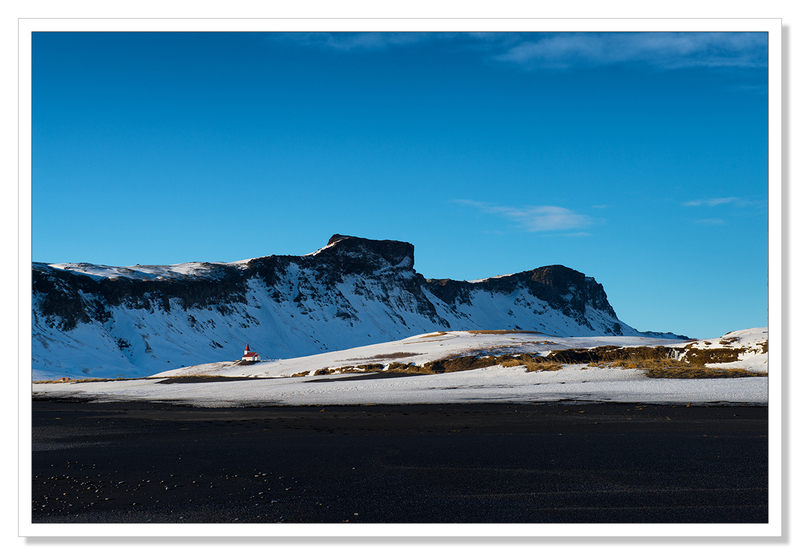 That black sand, the white snow, the blue sky and the red roof of the tiny church. Perfect. I love the contrast between the looming hill the sliver of bright snow with it’s touch of red from the church and then that wonderfully dark foreground. Makes the artist in me long for a trip to Iceland but it’s such a long way from Tasmania!! Magnificent shots. The depth of the blue sky is amazing. And nicely added perspective with that church. Very picturesque. Those are certainly picture perfect photos, Adrian. 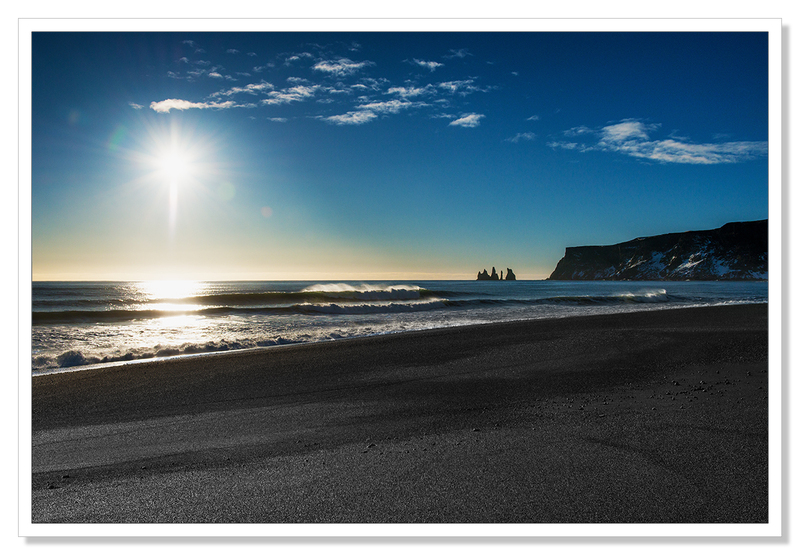 Good luck to encounter sunshine and blue sky in Vik! Thank you, Adrian. We were thinking about day out at Blakeney Point, but the weather is not the best – what happened to summer? – so we’ll do some gardening and just go to the beach. It’s very windy! Fabulous captures! Amazing how big the sky seems. The black sand against the blue sky is beautiful. Somehow the wetness makes the blue that much brighter Adrian. Love the capture with the rocks (or icebergs?) in the distance. Oh that last image is masterful – the way it dissolves into three bands of color, but still gets across all the power and raw wildness of land and sky: , wonderful. 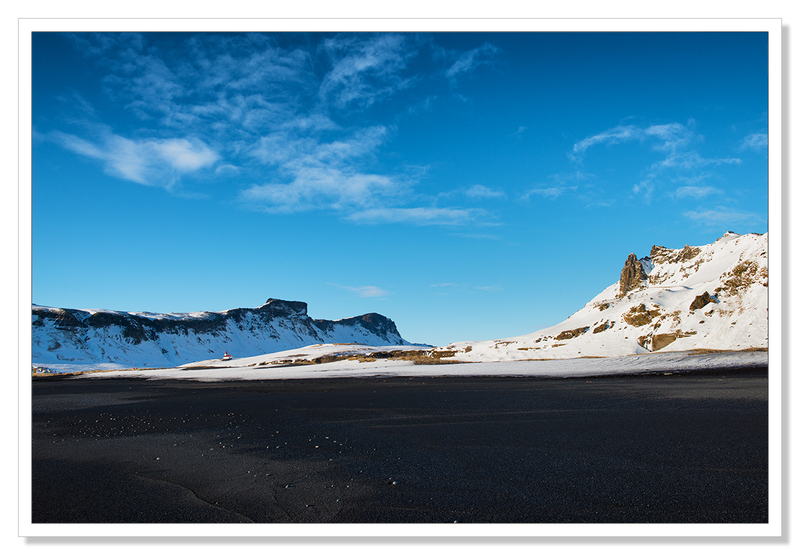 These are desolate yet exquisitely beautiful- I love Iceland as you capture it! My daugther and her husband are now in Iceland for a14 days vacation.They had a lot of information, from looking at your blog.Thanks a lot. Another stunning series Adrian, and the placement of the church in these photos is magnificent. Truly indeed a picture-perfect postcard of Vik, made even better with it doused in the sunshine.